Production is now complete on Hellraiser: Judgment, the tenth film in the iconic Hellraiser franchise. The highly anticipated and much buzzed about sequel is expected to be released in 2017. 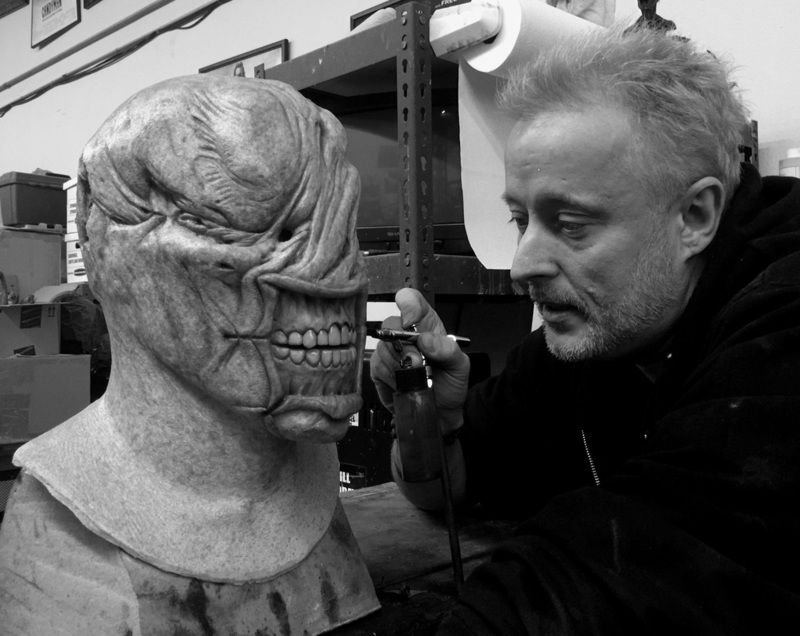 We caught up with writer/director Gary J. Tunnicliffe to talk about his background with the franchise (as a special effects artist and screenwriter for Hellraiser: Revelations) and what fans can expect with this latest installment. You’ve been a part of this franchise from very early on, starting out working directly with Clive Barker himself. As a fan, what do you love most about HELLRAISER and what are your hopes for the future of the franchise, which you’re now helping to drive? As a fan, I’m just hoping for a movie that delivers that same jolt of excitement that the original did. 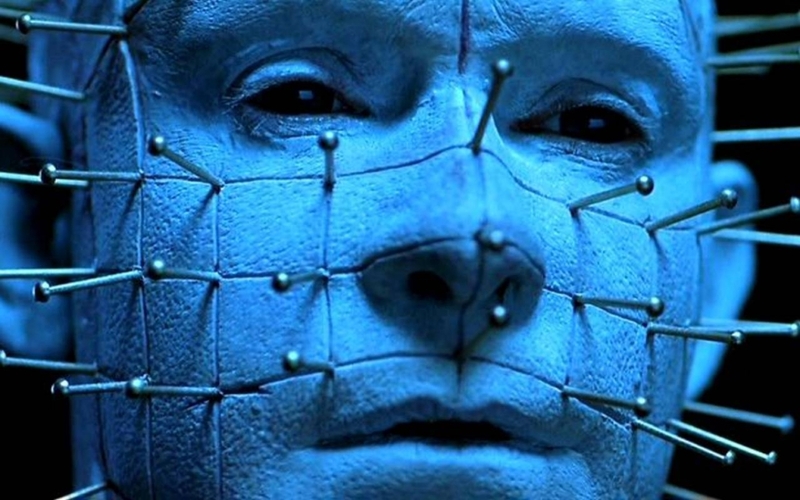 HELLRAISER was SO unique. I don’t think anyone had ever seen a movie like that. It tapped into sensations and emotions that most horror films do not, whilst delivering incredible visuals. Thirty years later — and with the masses of movies, art, graphic novels and stage productions — it’s SO hard to create anything new and original. But I think there is a great deal of life in the HELLRAISER mythos, and it’s so much fun to explore and expound on that world. What I love most about the HELLRAISER world is the concept of ‘a world within ours’ that is connected by the box, almost like the key to a parallel dimension. And that dimension is populated with a host of bizarre characters with different agendas, some terrifying to us and some intoxicating…basically everything that is summed up in the wonderful phrase when Kirsty asks Pinhead, “Who are you?” And he answers “Demons to some, Angels to others.” The subtext of that line is incredible. You wrote the script for REVELATIONS. From what I’ve read, you were working under severe budget and timing constraints, which must have made the project more challenging. I know that fans were not kind to that film. As a fan yourself, were you yourself disappointed with how the film turned out? There were very severe budget and time restraints on Revelations, yes. That film had to be written to fit into a very specific box. It was not unlike that show “Chopped”. I had a very limited basket of ingredients and had to try and make a meal out of it. I tried to write something that was almost like a play but that was very much a true HELLRAISER story. And, while the reaction has been pretty harsh, there are people out there who have recognized that with a little time and money the script could have produced a better film. I’ve been asked before what I thought of the film, and I’ve always defended Victor (Garcia) as being a fan who was under an enormous amount of pressure. Making a film in that time frame is a brutal undertaking. I think, if I’d have had the chance to direct it, I would have probably ‘subtled down’ some of the performances (it got a little BIG in places) and tried to make it a little grittier. You originally wanted to direct REVELATIONS but were unable to. This time around, you’ve been given full creative control. What would you say to fans that may be skeptical of this film given the history of the franchise? What can fans of the franchise expect? The fans are skeptical, and I understand that skepticism 100% After all, talk is cheap… and I’m just a FX guy who has finally been given the chance to get into the writer and director’s chair. All I can say really is wait and see. We can never make a film as strong as Hellraiser or Hellbound. Those two set the tone. But this film will hopefully feel familiar, while also having some new elements. I have been given creative control, and that has been a huge honor and responsibility. The last time I had this kind of control was when we made our little fan film ‘No More Souls’ and that turned out okay… so let’s just see shall we? Yes! Let’s talk about “No More Souls,” the short horror film that you wrote, directed and produced. That is honestly one of the best things I’ve seen in the franchise since the first two films. 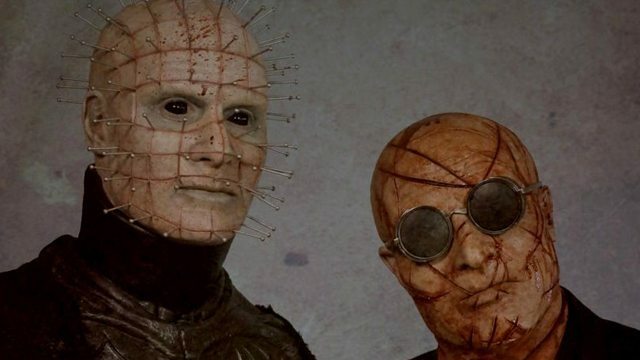 It perfectly captures the essence of what makes HELLRAISER great and even, without the presence of Doug Bradley, nails what is so compelling and chilling about Pinhead. I think fans, including myself, would love to see more of a return to HELLRAISER’s roots in this vein. 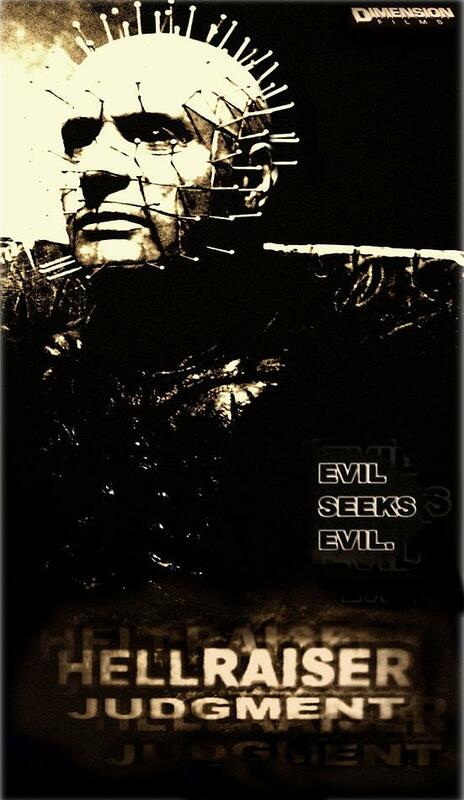 Is that something you have in mind for HELLRAISER: JUDGMENT? Thank you for saying that! I’m incredibly proud of “No More Souls”. It was basically something that was written and shot out of sheer frustration, and it’s been amazing the reception it has garnered over the years. People are still discovering it, and I still get people writing to me all the time saying how much they like it. Would I like to think I am carrying that tone and sensibility into Judgment? Absolutely, 100%. “No More Souls” was the short fan film I wanted to see, and hopefully Judgment will be the full length feature film that I want to see. As you correctly said, I AM a HELLRAISER fan and proud of it… so all I can do is make the film that THIS “Hellraiser” fan wants to see and hope that a few people have the same twisted sensibilities that I do! (Watch the short film “No More Souls” from Tunicliffe below). 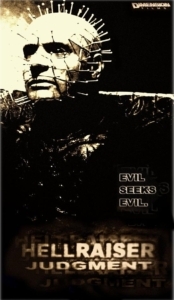 In 2013, you attempted a crowdfunding campaign to fund the production of a film called JUDGMENT, which appears to be the genesis of what became HELLRAISER: JUDGMENT. Unfortunately, that film did not meet its funding goal, but the teaser trailer looks amazing and seems heavily inspired by the original HELLRAISER. Can you talk a little about the inspiration for the script and how it evolved into the tenth film in the HELLRAISER franchise? Judgment was always a Hellraiser project (concept), but I didn’t think I would have a shot at directing a Hellraiser movie. So I removed the Hellraiser elements and tried to get Judgment made independently. I met with several producers, but they found the material too outlandish and disturbing. Some people suggested I try Kickstarter. We put the site up, and then I was told I had to contact everyone on my email list basically ‘begging’ for money. It didn’t sit well with me, so I decided to pull it. The inspiration for the script was based on the concept of a ‘spiders web’ that anyone can stumble into with horrifying consequences, a place where anyone can face Judgment and where all your sins are examined, explored and collated. Our detectives, hunting a particularly terrifying serial killer, get pulled into that world and face off with the characters that populate it. (See the teaser trailer for the original Judgment below). Let’s talk for a minute about Doug Bradley. 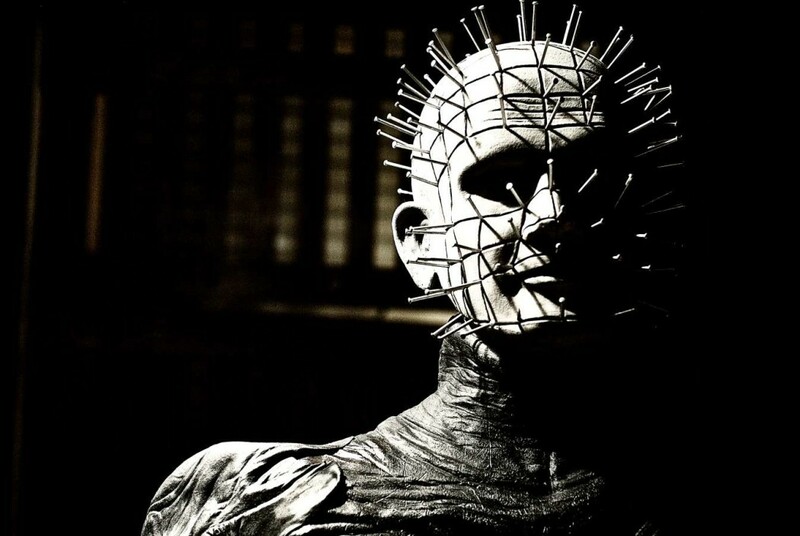 He is certainly beloved by fans, and his name is synonymous with Pinhead. I know fans were disappointed that he did not reprise his role in REVELATIONS, and he’s not returning for JUDGMENT. In fact, you’ve found a new actor to portray the iconic role. What would you say to fans that may be wary of another film without Bradley? Doug is beloved by the fans… and by me too. I was the fan who watched him on screen and then got to apply his make up. I was his make up artist, on set confidant and sounding board for 5 films over 12 years. It’s been very hard to not have him involved and very sad the way things have turned out. Doug (allegedly) thinks I betrayed his trust, but I was only trying to present people with the facts. I was worried about ‘hearsay and conjecture’. But I understand his angst and I apologize. 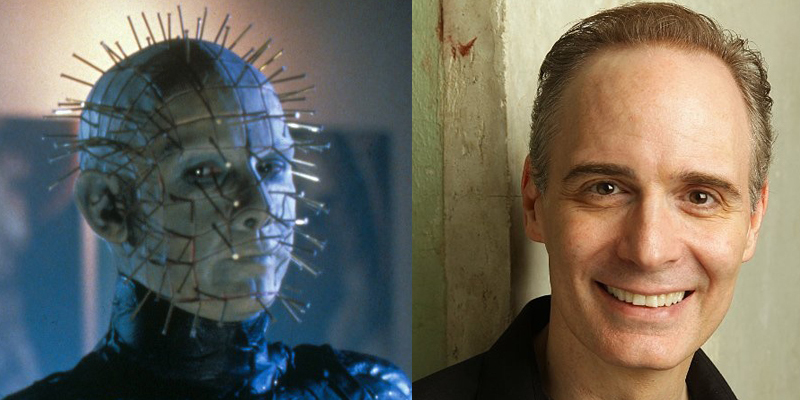 That said, I understand people who don’t feel it’s HELLRAISER without Doug, but I had two choices…remove Pinhead from the movie/script (which would be sort of tricky and foolish) or re-cast. So we went with the latter and after some searching we found an actor (and FAN) who I think has done a great job and brings his own take on the character. Paul (Taylor) was so excited to be on this movie, texting me everyday while we were shooting and even shaving his head for the role. He relished the dialog, worked very hard, and I just hope fans give him a chance. Our on-set influence was the great Peter Cushing, and anytime Paul would seem to wander or lose focus, he or I would simply utter Grand Moff Tarkin’s line, “You’re far too trusting” from STAR WARS and he would instantly settle back into that cold, resolute character. 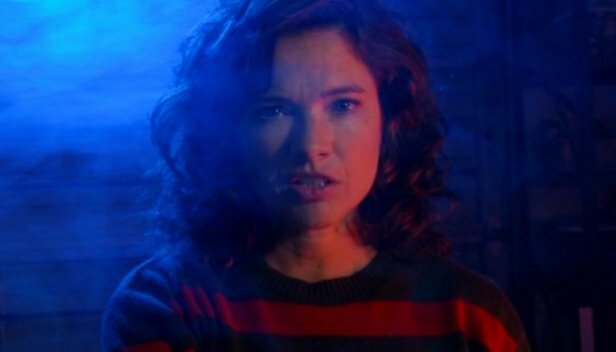 In other casting news, the Internet has been buzzing with news of legendary scream queen Heather Langenkamp joining the cast. How did she come to be involved with the film? Heather was such a surprise to me, I don’t know her, and we’ve never worked together. Obviously, I’m a huge fan of hers (and her amazing FX artist husband, David Anderson). Our casting agent had contact with her and had her read the script. Apparently, she really enjoyed it… said it was like nothing she had ever read before and said she wanted to be in the movie. Honestly, I was blown away more than anything. It was SO great get a reaction like that from someone who I am quite sure gets a LOT of horror scripts on her table! What can fans expect with regards to gore and special effects? Do you plan to up the ante with this film over previous films? How much of a presence can we expect from Pinhead and the Cenobites? Obviously, we are somewhat limited by budget. And, to be honest, I’m not a huge fan of tons of guts and gore anyway. But I think we have some sequences that will shock and stimulate, as much by the tone and nature of the effect of what you are seeing rather then the ‘per gallon blood count’ exactly. I’ve tried to make some of the gore beautiful as well…does that sound crazy? I love the imagery in THE CELL, and I’ve always been influenced by the visuals of Terry Gilliam. So I think you’ll recognize that in the movie. I’m not trying to ‘up the ante’ in any way. What IS in the film is there for a reason, not for me to be able to say, “Dude! I made the bloodiest HELLRAISER ever!” But we do have a couple of sequences that necessitated a fair amount of clean up! As much as I did on GONE GIRL, put it like that! What has been your biggest challenge trying to bring this vision to life? I suppose the biggest challenge was writing a script that had a strong beginning, middle and end — a script that was strong enough (WITHOUT the hell/cenobite elements) to stimulate an audience with something original and compelling. I hope we’ve done that, but I won’t know until an audience sees it. I’m WAY ‘too close to it’ now, so I am very suspicious of all the back slapping and grinning that is going on here behind the scenes. But people who’ve seen some cut scenes and sequences seem to be very excited. I suppose I should say the budget and schedule were a challenge, but honestly they weren’t. I think with 10 more days the film wouldn’t really look that much different, and if we’d have had more money maybe we might have had bigger names in the cast. But honestly, with what we got in Oklahoma for the money, I was blown away. And my cast were all amazing (and I put them through the ringer physically and emotionally). They did it because they really wanted to and not for the money. And, you know what? That’s incredible, right? You’ve been in the industry for over 20 years, working on SFX for some of the biggest and most iconic horror franchises. Two part question…what’s your favorite film you’ve personally been involved in as well as your favorite horror film of all time? Favorite film I’ve worked on? I LOVED my days on Gone Girl. Watching Fincher at work was awe inspiring, collaborating with him a joy and getting thanked by him an honor. That and the scene (and if you know my work and you’ve seen the film, you know which scene I’m talking about) is SO memorable. I enjoy any film where I work with Patrick Lussier (Dracula 2000, Drive Angry). He’s just a great guy and a genius. And trust me, there will be a film he directs where that will be recognized… and I hope I’m on it. Favorite horror film? Oh, well, it’s not just one LOL! But here’s my little list in no particular order: THE TEXAS CHAINSAW MASSACRE — for its sheer, unflinching brutality (especially the last 20 mins or so and the birth of a truly terrifying icon); THE EXORCIST — because its a film that changes with you as you age and scares you and makes you think on SO many different levels. Plus, as a technical piece of work (editing, sound design, make up), it’s amazing; JAWS – well, because it’s JAWS. And if you don’t think it’s scary, then watch it again. Then go to the beach and go for a swim in the ocean. It resonates with you on a primal level, and technically it’s really a testimony to Verna Fields’ incredible editing ability; THE OMEN (the original) — great story and mythology… and the perfect example of how truly great actors can give a horror story pedigree and power; Finally, of course, HELLRAISER — because it wasn’t teens in peril. It dealt with taboo subjects and sexuality, combined with imagery unlike anything ever seen before. You are clearly someone passionate about the genre, which only increases my anticipation for this film. Is there anything else you’d like to add that we didn’t cover? Anything you want horror fans to know about HELLRAISER: JUDGMENT? I’m seeing a lot of stuff out there — some good, some bad, some optimistic, some pessimistic. But I don’t judge. I get it, I’d feel the same. Anything I say is all just talk until the movie comes out. As I have said before, all I can say is I’m doing my best and don’t judge me too much on Revelations. Yes, it was my script, but parts were missed and some bits added that weren’t mine. And I didn’t cast or direct it…so it’s not my film is it? Trust me, I have the same problems with it most people have. If you want to see an example of something I do stand by…go and watch my Hellraiser short NO MORE SOULS or my The Texas Chainsaw Massacre Short THE CHICKEN RUN, which are both on youtube. (Watch The Chicken Run below).